The first-ever image of a black hole was unveiled Wednesday by an international team of scientists in a simultaneous announcement across six global cities, giving an opportunity to scientists to confirm Albert Einstein's theory of relativity. 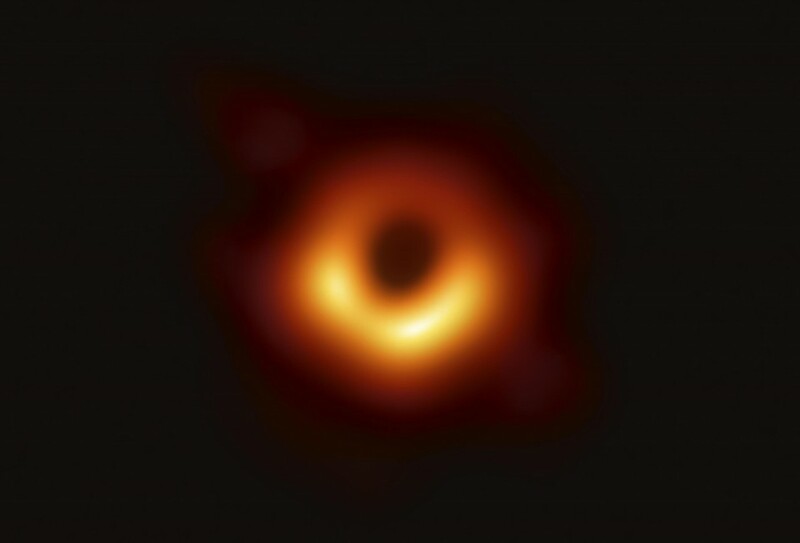 The Event Horizon Telescope produced an image of a supermassive black hole in Messier 87, 55 million light-years away, a task as difficult as looking for a tennis ball on the moon with a naked eye. The black hole was one of the two the scientists had targeted including Sagittarius A* at the center of the Milky Way, 26,000 light-years away from Earth. The team of more than 60 research institutions produced the image by combining data collected in April 2017 from six radio telescopes that were linked across the globe, including the South Pole and Chile, to create an Earth-sized virtual telescope. The international team was able to show the black hole by casting its silhouette against the bright light emitted by the hot gas and dust swirling on the edge of the event horizon. 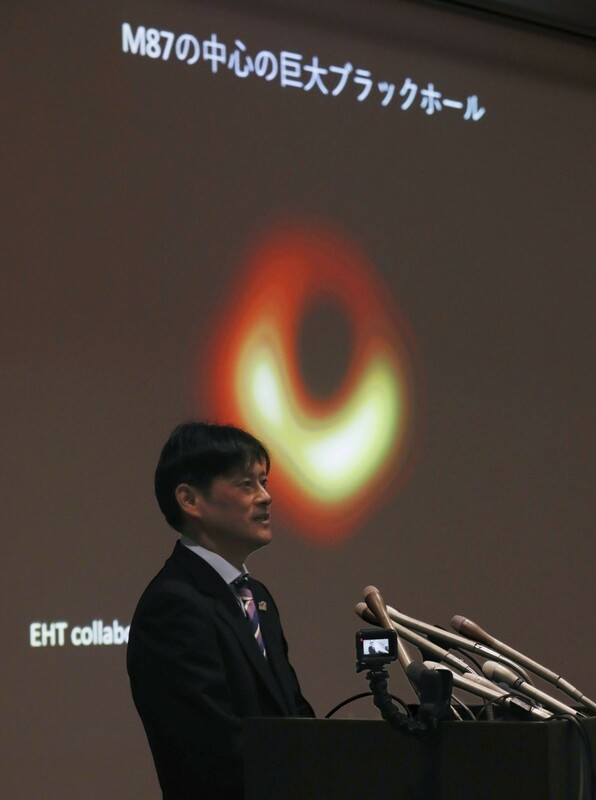 "This is the first image of a black hole that we've seen," Mareki Honma from the National Astronomical Observatory of Japan said at a press conference in Tokyo. "It's just one image but it's something that has immense meaning." "We have visual evidence of something that had never been seen before and on which research and theories were based," said Yoshiaki Taniguchi from the Open University of Japan. "This can definitely be considered as worthy of a Nobel Prize." Black holes are made of a great amount of matter packed into a very small area, engendering a gravitational field so strong that not even light can escape. This point of no return is known as "the event horizon." The presence of black holes, however, can be inferred by the activity of stars and gases around it.